He brought you popular hit tunes like Rosi Ni Qamea in 2012 and has been around the local music scene for the past 20 years. Procera Music award winning artist, Kerry Damudamu is originally from Nagigi village in Savusavu, Vanua Levu. He has released 11 albums over the years and recently launched his 12th. Damudamu had initially wanted to be a teacher but when that didn’t eventuate; he pursued music instead. “My dad was a preacher and I usually sing in church and I loved singing when growing up,” he said. Now based in Sabeto, Nadi- Damudamu has enrolled at Fulton College in his mission to complete his teaching course. He has composed most of his songs over the years and this started in 1996 when he released his first album under the South Pacific Recording (SPR) label. 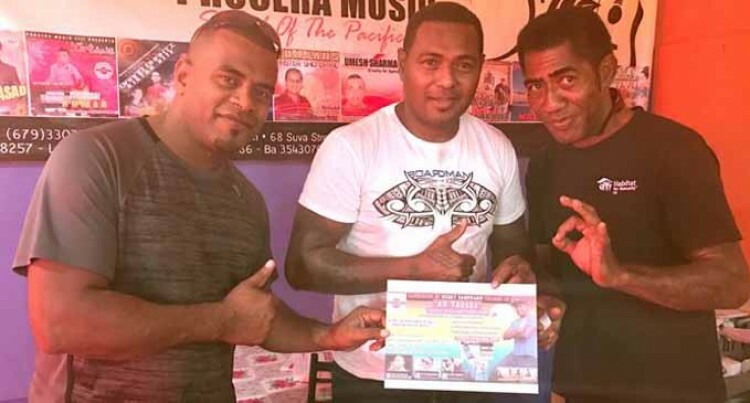 Over the years, he has performed at the Nadi Bay Resort but now he is working towards completing his studies and during his spare time, he has gone ahead to form another band called Nagigi Boys. His latest album is titled “Au Vaqaqa” which consists of 12 songs. The song which is the title of the album was inspired by a true story of a couple that were having relationship problems. “When the guy heard the song on radio he was deeply moved and later reconciled with his wife,” he said. Damudamu said most of the songs he had composed are based on true stories of love and relationships. Most of them have reconciled and this has healed their relationship and marriages. Over the years Damudamu has always supported himself but sometimes gets help from fans abroad and he encourages all upcoming artists that nothing is impossible if they are ready to put in the hard work. His latest album is now on sale at all Procera Music Fiji outlets around Fiji.